Protein shakers are specifically designed bottles that are used to dissolve protein powders, pre workouts supplements, intra workout supplements, post workout supplements, and pretty much anything that’s in powdered form. 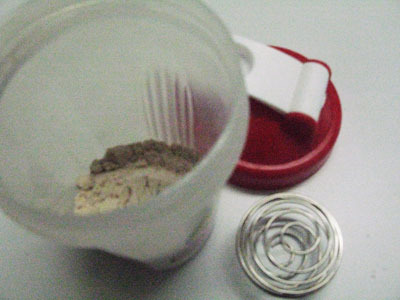 Anyone who has tried using a protein powder will know that it is sometimes difficult to dissolve the powder into a smooth shake if you are using just a spoon. Consequently, for best results, a blender is often used. However, there are a few downsides associated with blenders. First of all, they are not portable and most people only have one. Therefore, you can’t use them at the gym or on the go. You also have to rinse it out in between uses when making multiple shakes, unless you want some interesting flavour mixes. This is where shaker bottles come in. They are relatively inexpensive, so you can purchase many, and they are completely portable. Being a closed container, they are also a convenient way to transport powders. Big lid opening: A narrow opening should be avoided at all costs, because it will almost certainly result in you losing some powder to the kitchen table. Shaker ball: These are typically coiled wire balls made from stainless steel. Mixing a powder is much easier when one of these is being bounced around inside the bottle. It may seem simple, but a ball really does help to give a much smoother shake with fewer clumps. Screw top lid: A good screw top is vital when it comes to shakers. Given that you will be shaking the bottle with great vigour, the last thing you want is for the lid to be flying open mid-shake, leaving you covered in a half shaken protein shake. Firmly shutting drinking lid: Look for a shaker with a drinking lid that either snaps shut, or feels very firm when shut. There are two reasons for this. Firstly, much like the main lid, you do not want this lid to be flying open mid shake. Secondly, many people carry powders in the shaker inside their gym bag. A loose drinking lid is a good way to ensure that your gym bag and its contents are getting their daily dose of protein. Volume measurement marks: Often, supplement manufacturers will specify the recommended amount of water (or other liquid) to add to a given amount of powder. This is generally to ensure that your shake is not too thick or watery. Having visible markers on the shaker eliminates the need for you to estimate or to use a separate measuring cup. Dishwasher safe: Shaker bottles are not the hardest things to clean, but the convenience of being able to dish washer these are definitely a plus. This is especially important for those that go through multiple shakes per day. Get the right size: This is important. Shakers generally come in two sizes, either 400 mL or 600 mL. If you intend on making a 500 mL shake, you obviously cannot use a 400 mL shaker. However, one thing to keep in mind is to account for not only the volume of the liquid your adding, but also the powder itself. If you are combining 200 g powder to 400 mL water, the combined volume is going to be well above 400 mL, and a 600 mL shaker will therefore be the right size to opt for. After you have purchased your ideal shaker bottles, there are a few tips that will further simplify your shake making experience. If you can, add liquids first. This way, you will always know exactly how much liquid you are putting in. If you add the powder first, there is a degree of guessing, because the powder will start absorbing the liquid and you can’t accurately measure how much you poured in. Furthermore, adding liquid first gives a smoother, more homogenous, clump-free shake without any undissolved residue stuck to the bottom. This makes cleaning much easier. This order is obviously more difficult if you are drinking your shake at the gym, because you will be using the shaker bottle to carry the powder. 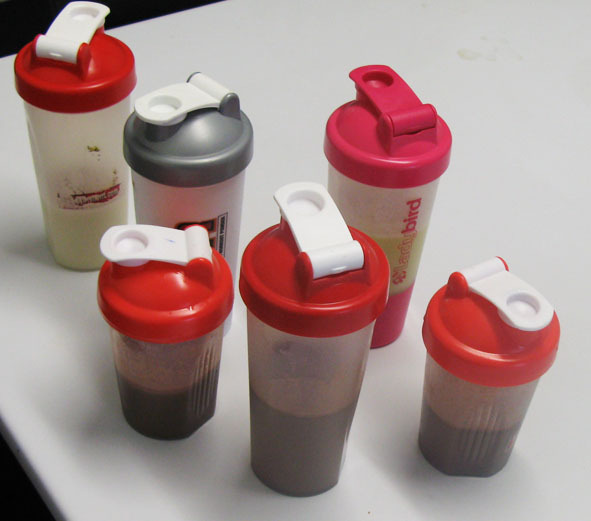 In such cases, shaker bottles with separate powder compartments are quite ideal. If you intend on hand washing the bottle, soak the bottle immediately after use with a bit of detergent and water, all the way to the brim. Place the lid upside down, sitting inside the brim of the bottle, with the drinking lid open. This gives a much more comprehensive wash, especially in the nooks and crannies of the lid. So do you absolutely need a shaker? The answer is no. But a few shakers on hand will make your life so much easier.